Hello everyone! Isha here sharing my 3rd. post as guest designer for January. Today, I have 2 cards for you using the wonderful products from eclectic Paperie. I made these cards, which are totally different from each other. For my first card, I want to tell you that you can create CAS cards using stencils. You don't only have to use the stencil for mix media or with spray mists only. You can use them as mask and sponge the inks for a wonderful soft feel. So, I started with sponging the solid poppy stencil. I inked it using 2 green, red and orange Imagine Crafts/ Tsukineko Memento inks. I then put the outline only stencil and sponged using the dark ink. It gives a subtle definition to the image. To finish the center panel, I inked around the edges using Teal Zeal Memento ink. To finish, I just put some Delicata gold glitz ink and Memento Love Letter ink onto the acrylic block, added a bit of water and flicked. Wonderful cards!!! I love how you used stencils on your first card. 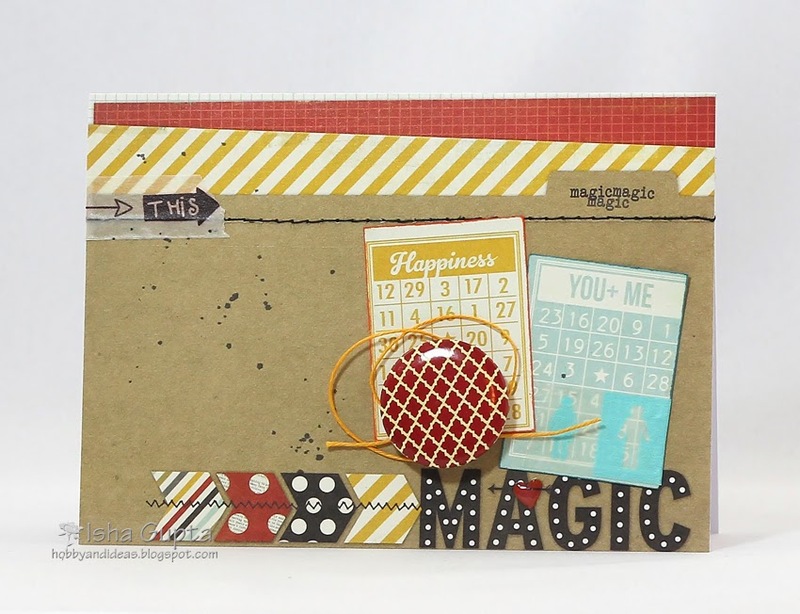 Great reminder that these mixed media tools can be used with just ink and are perfect for cards. And your 2nd card..... love how you used pieces of the dsp... with the flicks of black.... gorgeous. 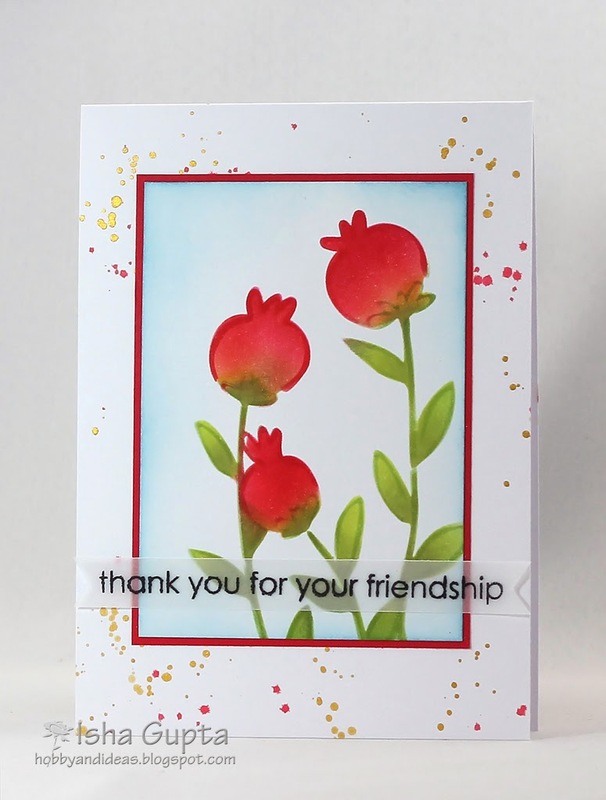 Lovely cards, those stenciled poppies are gorgeous ! Beautiful cards! Sending a special shout out to Isha! Both cards are GREAT! LOVE how you used the stencil for those poppies! Love your cards Isha!!! Welcome!!!! The stenciled flowers are amazing. I looked it up, thinking it had to be a stamp. Lovely colors. Thanks for sharing. That first card is amazing the colors of the poppies and your stenciling. Great design with the second one.